I am trying to get a cheap SH1106 1.3" OLED from eBay working with my Raspberry Pi 2. Frm the eBay description, it says that it supports "I2C/IIC Interface, need only 2 IO". I am however not able to have it detected by i2cdetect (only gives me --). The module has 7 pins: GND, VCC, CLK, MOSI, RES, DC, CS. I have tried different wirings. Is this module SPI only? (wrong description). Which pin is supposed to be connected as SDA/Data if using I2C? Desolder the resistor R3, solder it on the vacant R1 slot and add up a 4.7k at the vacant R8 slot. 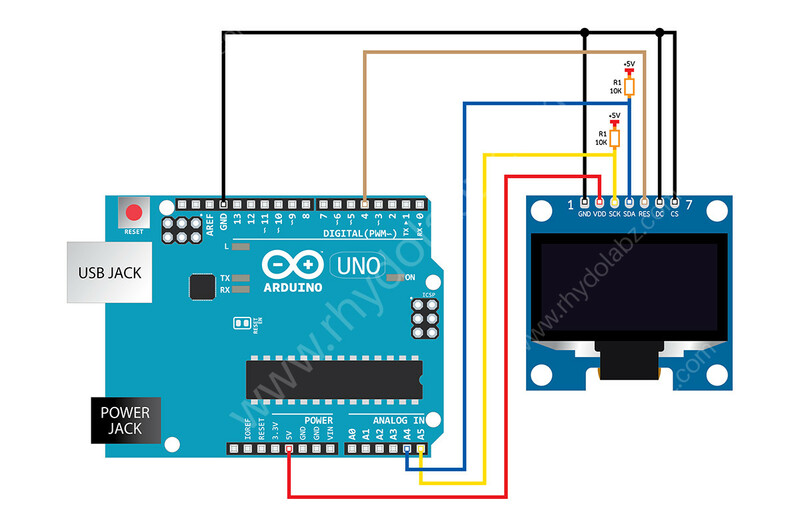 For the IIC communication 4pins should connected between the module and the arduino; SCK, SCL, RES and DC. Not the answer you're looking for? Browse other questions tagged raspbian i2c wiring spi or ask your own question.